We are excited to annouce 3 new eliquid flavors to our “Top Shelf” Eliquid line. We will release flavors in a few weeks. Here are the descriptions. Turner’s Delight : A sweet treat with a burst of mix fruits of lemon, strawberry,grape,orange, and lime all at once. This flavor will keep you guessing of that famous hand full of candy. Brando’s Burn : One of the best tasting desert vapes. Pancake and Syrup hitting your taste buds with a warm but hint of tobacco blend of RY4. 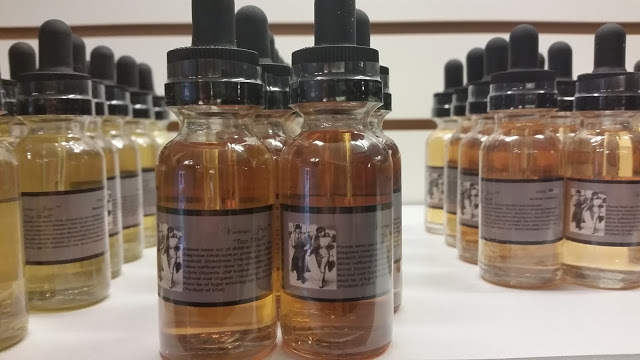 Shirley’s Blend : Strawberry Jam hitting your taste buds on the inhale with a creamy coconut blend on the exhale, an all day desert vape. Ingredients: Food Grade USP Kosher Grade Proplyene Glycol, Glycerin USP Kosher Grade, Nicotine(Naturally Derived from tobacco), Natural and Organic Flavorings. Diacetyl, Acetyl Propionyl, and Acetoin Free… No Water, No Alchol, No Sugar…..